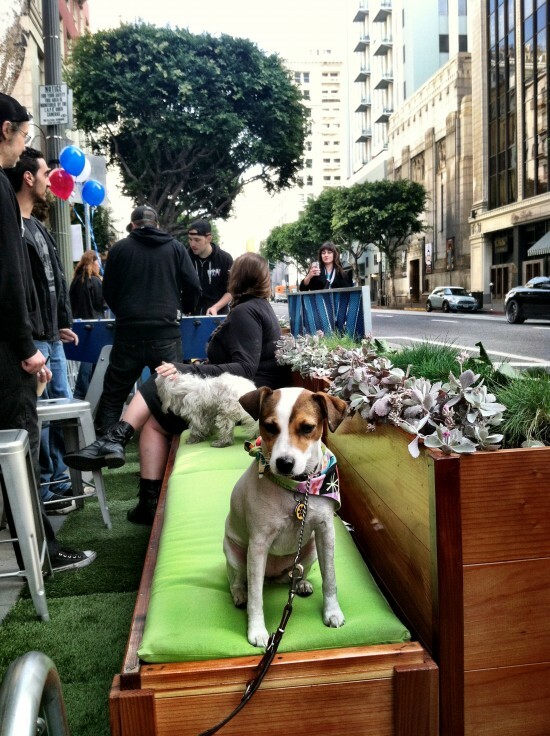 Earlier this week, AN reported on the opening of Los Angeles’s first parklet in Eagle Rock. 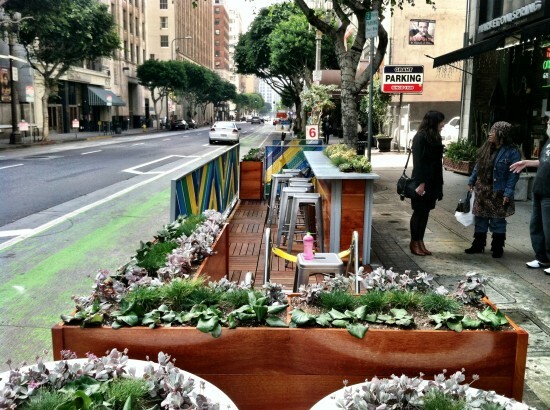 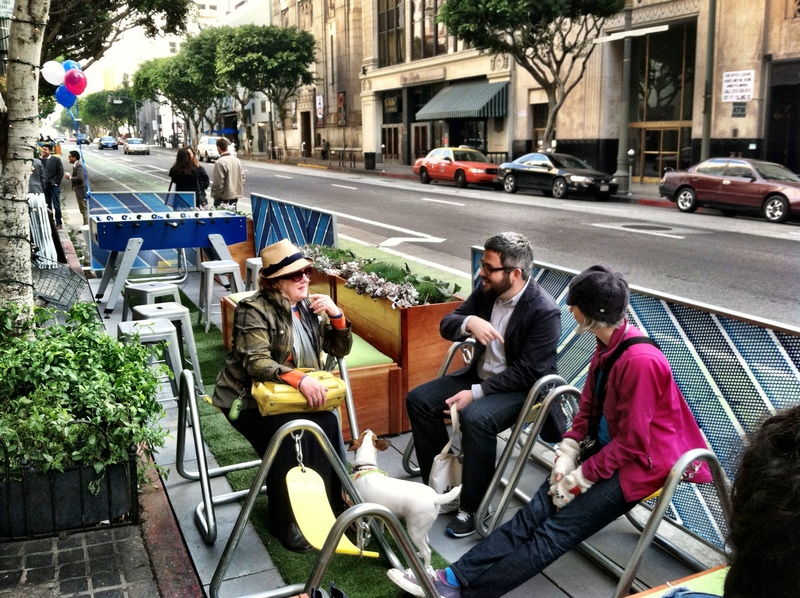 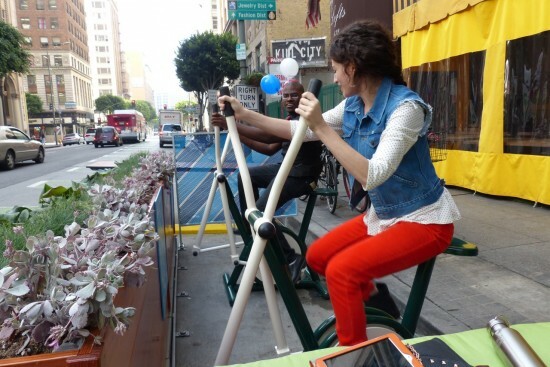 Thursday saw the arrival of the city’s second and third sidewalk-extending mini-parks, located on Spring Street in Downtown LA’s historic core. Created by architects/developers utopiad.org, designers Berry and Linné, and builders Hensel Phelps, the 40 foot by 60 foot parklets, located just a few parallel parking spots from each other, are impressively detailed and fitted, with wood planter boxes, minimalist bench seating, stone pavers, hardwood decking, and quirky touches like seat swings, astro turf, bar seats, colorful fences, foosball tables, and exercise bikes. 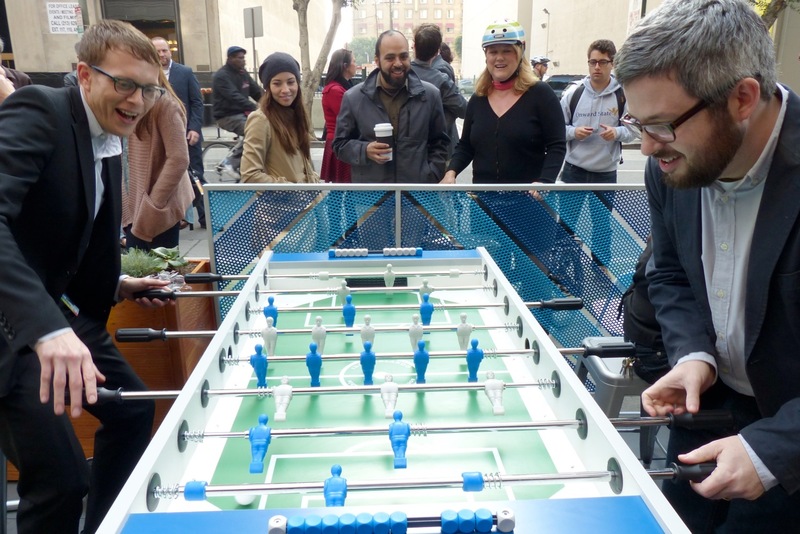 “We wanted them to pop,” said Rob Berry of Berry and Linné. 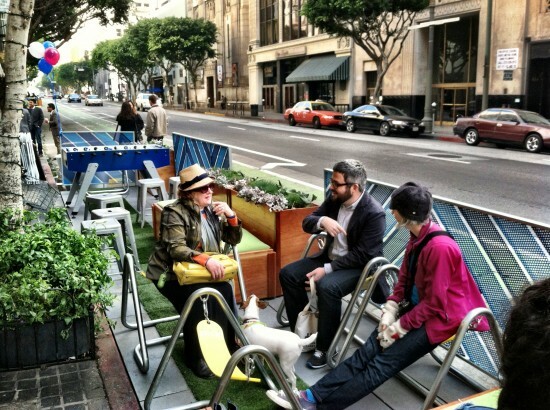 “A lot of parklets can be pretty minimal.” Both are located on former active parking spaces, a reason that they took more than a year to get through the city’s approval process. 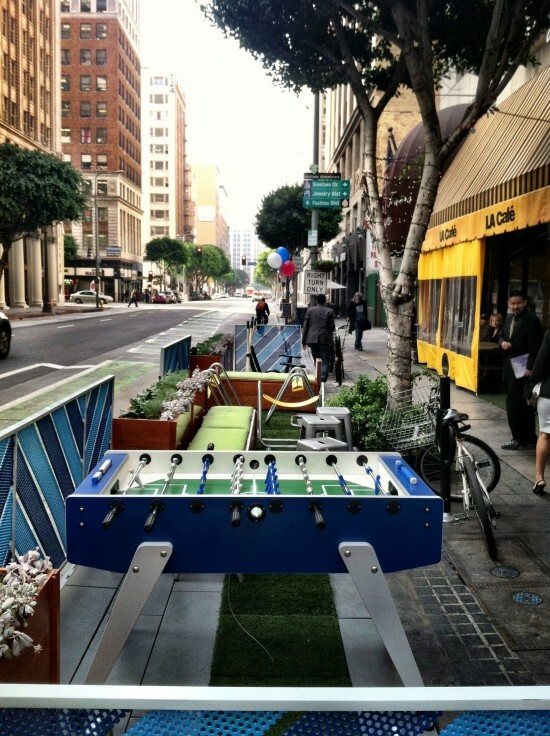 “We can close a parking space and it’s not going to be the end of the world,” said Siobhan Burke, one of the parks’ designers.